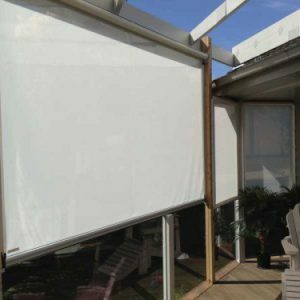 This product provides a far more comprehensive solution if you need to block out the sun and provide shade. 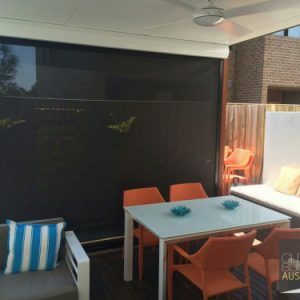 Utilizing an innovative smooth gliding track system, these blinds don’t require zips, ropes or pulleys which can limit application in patios, pergolas and alfresco areas. 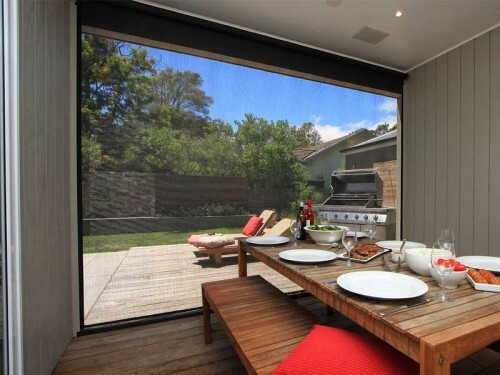 As with all our products, design and functionality are paramount. 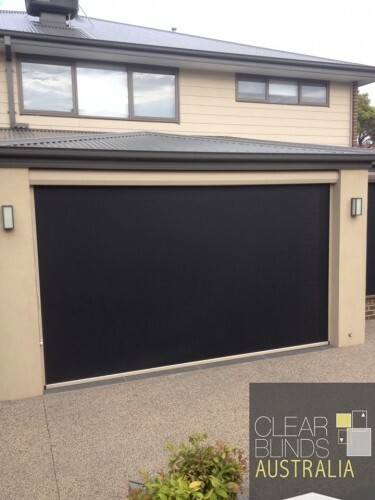 Choose from track guided or non track guided, different colour and different fabric types. 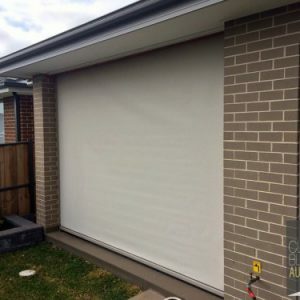 By incorporating a unique spring-loaded action these blinds can be easily rolled up and down or kept open at any position. 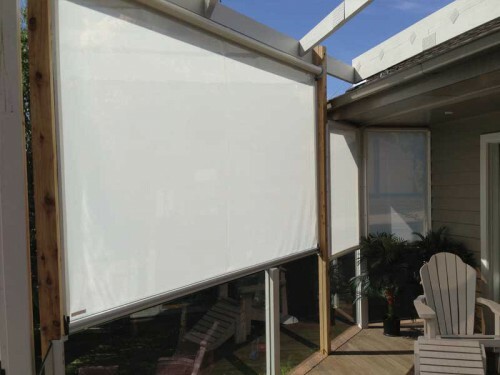 For complete weather protection, they are also lockable, with a sturdy locking mechanism holding the blinds closed. 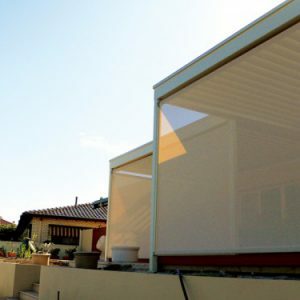 We take pride in not outsourcing product or importing pre-fabricated solutions. 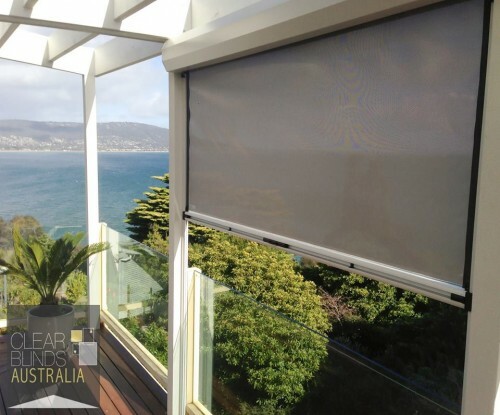 All of our blinds are custom made to suit your personal requirements. 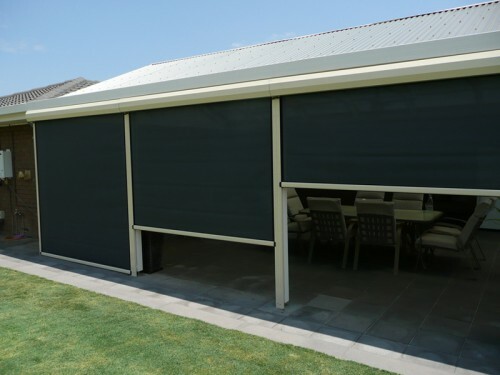 This allows you to choose your desired shade weave fabric from a large range of colours and opacities, and get the perfect fit for your area. 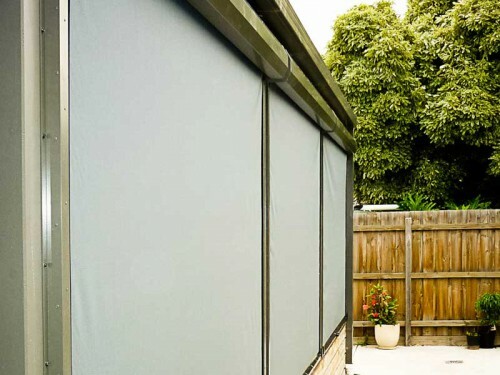 Shade weave fabric is constructed from a high tenacity polyester weave that’s resistant to warping. 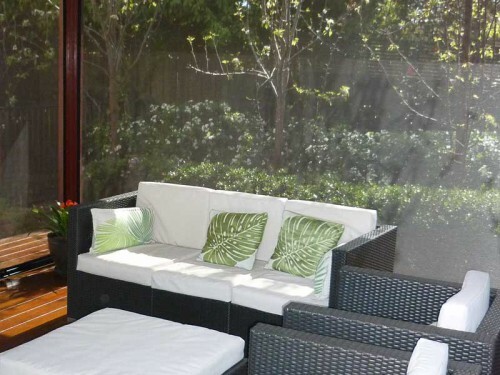 Micro-aerations throughout the material help to regulate heat and keep the temperature at a comfortable level. 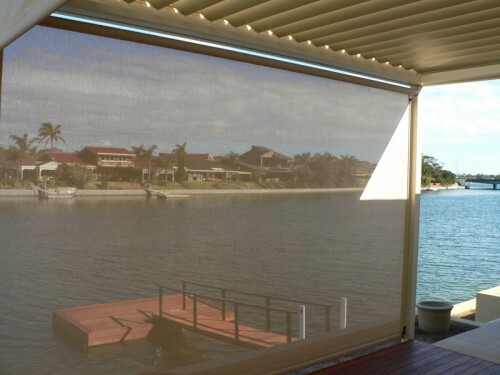 Shade weave is suitable for areas where privacy is desired, without blocking views. 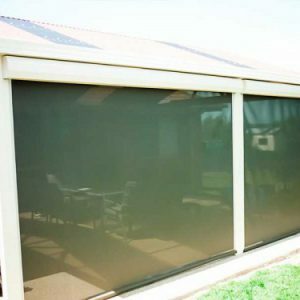 It effectively shields 88-95% of wind and rain while also providing protection against harmful UV rays. Electronic operation is also a popular upgrade option. Ask about our motorised solutions. 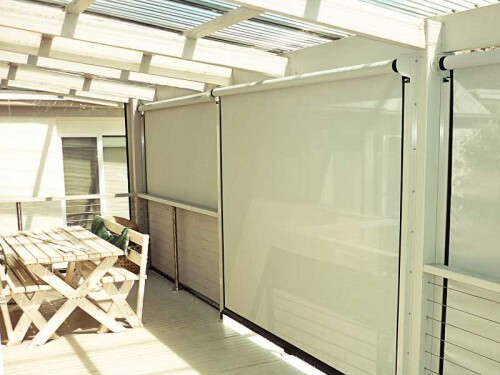 Whether its a pergolas, patios and alfresco areas, shade weave fabric blinds can be the perfect solution. 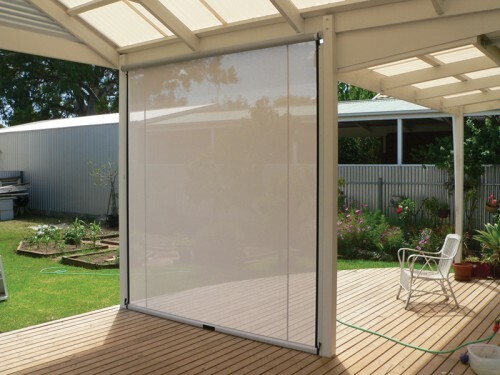 By providing a generously shaded area, you can provide protection from the sun and UV rays. 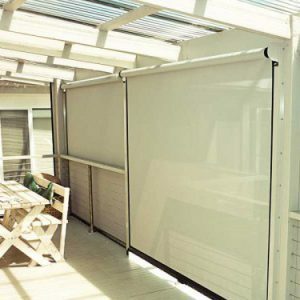 Whether you want to create a sheltered area that’s perfect for entertaining guests, or a shaded area to enjoy the views your garden offers, shade weave fabric blinds offer an ideal solution. 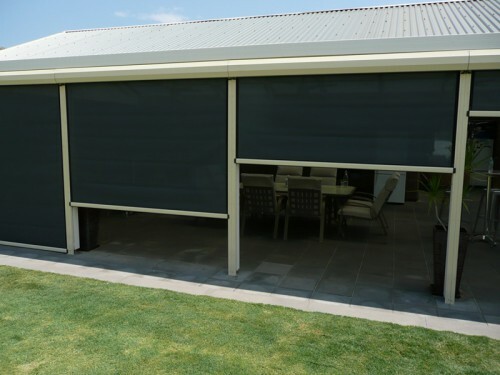 If high temperatures and bright sun or rain and wind have ever kept you from using your verandah or other outside area, shade weave blinds might help you enjoy your al fresco space more often regardless of the conditions outside. 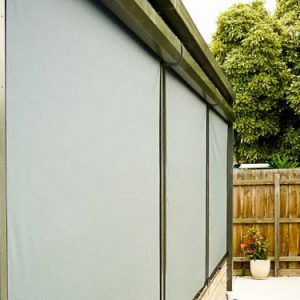 Shade weave fabric is also sometimes referred to as shade mesh and is made from a high tenacity polyester weave and is very high quality material for blind-making. 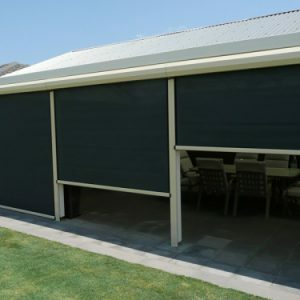 Here at Clear Blinds Australia, we strive to make sure the most quality materials and production are put into use when making our shade weave (and any other) blinds and any blind product. 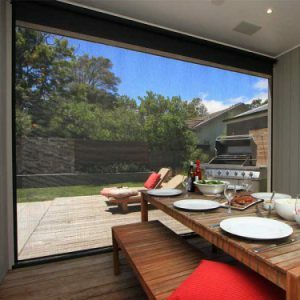 Shade wave fabric has so many great qualities that home owners and business owners in Sydney and Melbourne alike are finding it a great addition to any outdoor space. 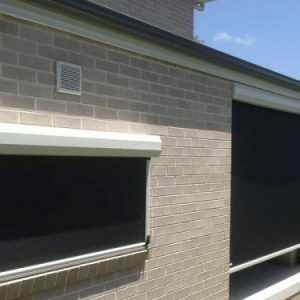 Even constant use and exposure to the elements will not cause shade weave to warp, meaning you’ll enjoy years of use from these blinds. 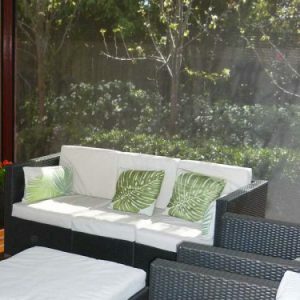 Likewise, the mesh quality of the fabric has tiny micro-aerations which allow the fabric to regulate the air temperature as it passes through, keeping the al fresco area at a more even, comfortable temperature than without the mesh. 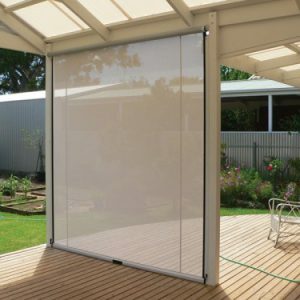 Also, shade weave fabric shields those inside it from the elements keeping out 88% to 95% of rain – even gusty rain – and damaging UV rays. 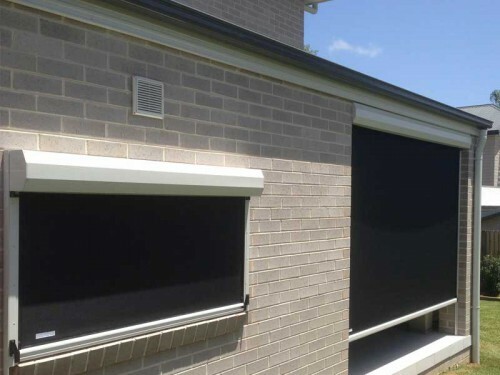 Shade weave fabric’s design allows people inside to take in the view outside without having to squint through traditional blind slats or causing a distorted or poor view. 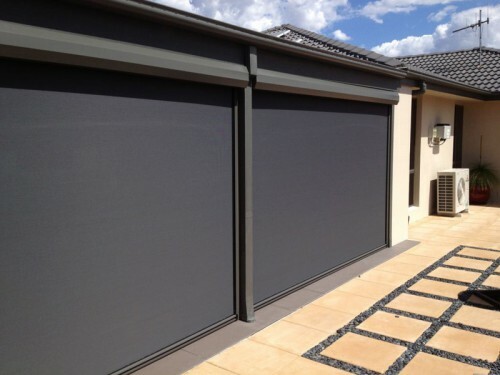 Likewise, it looks more visually appealing than standard blinds. 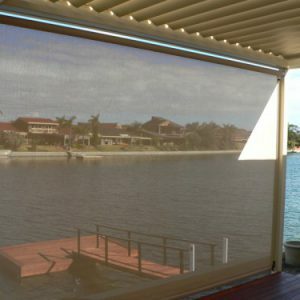 However, the view from inside doesn’t require the sacrifice of privacy; just like other types of blind material, the view from outside is protected. 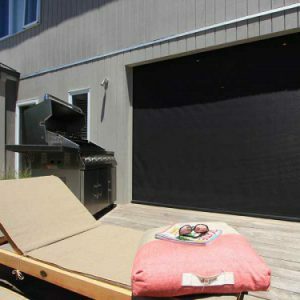 Another bonus about shade weave is its contemporary aesthetic appeal. 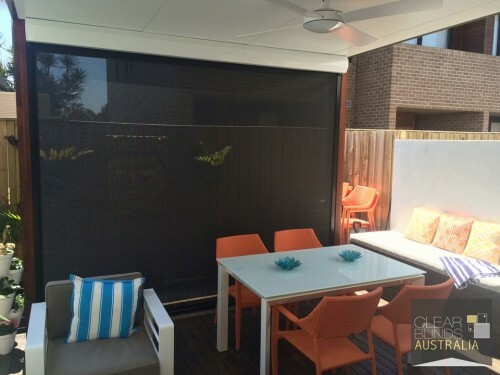 Clear Blinds Australia offers a wide palette of colour options for our shade weave blinds. 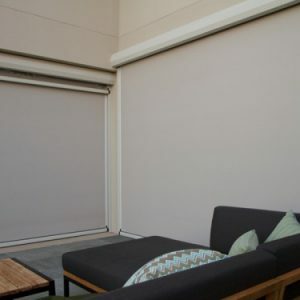 Like our powder coated metal tracks, Shade Weave comes in many color options so customers can make sure everything about their blinds is color coordinated and matches perfectly or choose to go bold with a contemporary color to make an exclusive look that pops. 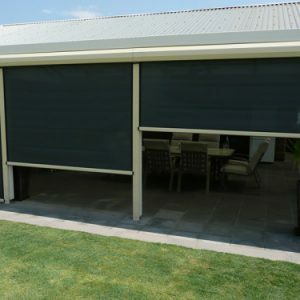 Sometimes, blinds and the metal parts that go with them are easily broken; this is an especially true case for blinds outside, such as those on a verandah. 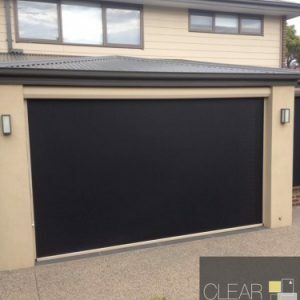 However, Clear Blinds Australia works hard to make sure our products are a level above when it comes to quality of both the blinds and metal tracks they are installed on. 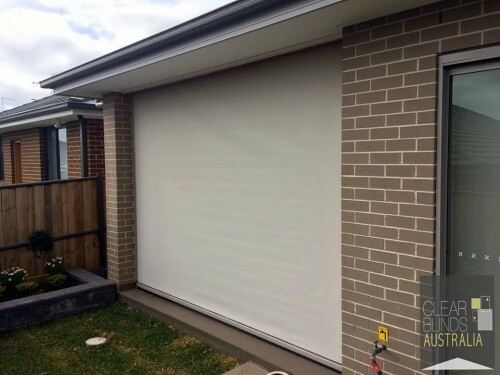 This is where power coating helps our blinds be so long-lived and strong, resisting breakage or damage and continuing to enhance your home for years. 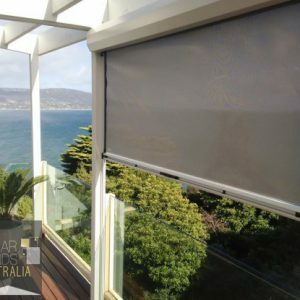 We supply Melbourne and Sydney with power coated blinds using the highest quality materials and processes. 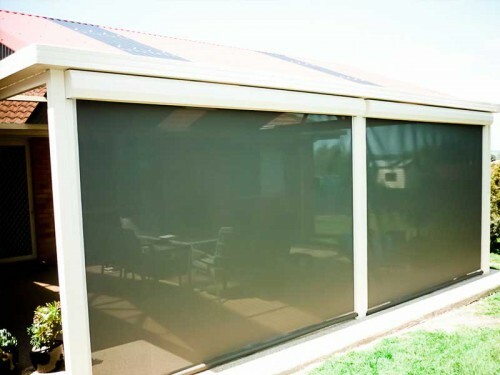 During the pre-treatment process, we ensure each piece of metal used in our blinds is without defect and is cleaned and prepared. Successful powder coating requires the complete removal of any debris or residue including grease, oil, or welding scales. After cleaning, our process includes an acid bath to further clean the metal and etch it properly so the powder can better adhere to the metal. Next, the metal goes through a chromate bath. The chemicals in this bath help give the metal more protection and resistance to any elements such as weather or impact of other objects. 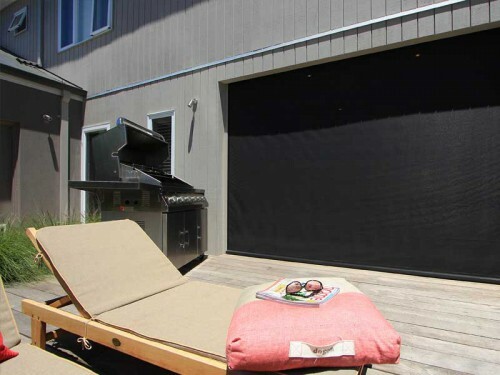 Powder coated metal is much more resistant to abrasion and scratches as well. 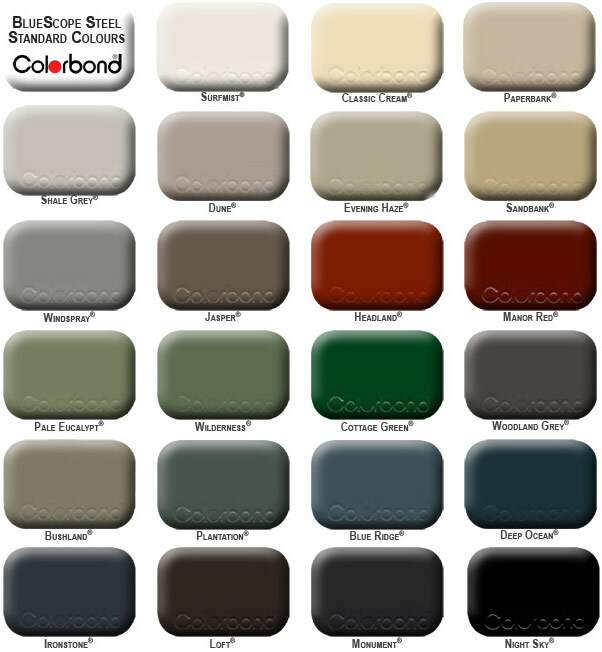 The pre-powder coating process is then finalized by rinsing again. Lastly, we manually wash our metal with a pre-wash solution to be sure the protected surface of the metal is clean and smooth. 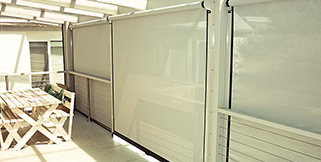 This all happens before the actual powder coating process, ensuring maximum quality assurance. 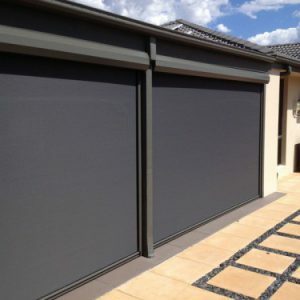 The powder coating process allows not only protection of your blinds, but can also make them more aesthetically pleasing. 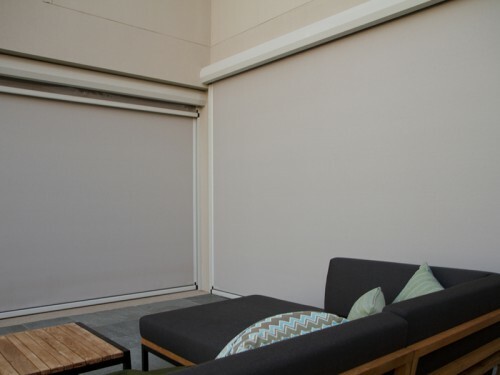 Powder coating allows blinds to be colour matched to suit almost any blind and home color. 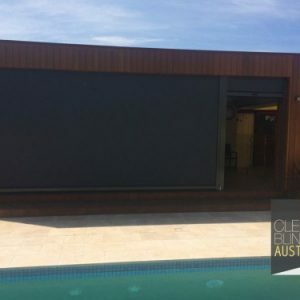 It can be matched to any Colorbond colour, and we offer a sample chart of colors to help our customers on choosing the best colour for their home and personal style. 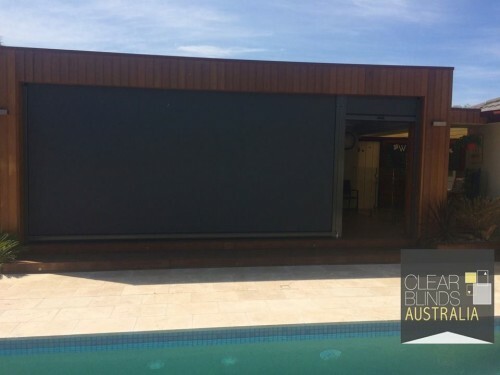 Please contact Clear Blinds Australia DBA Awnings & Outdoor Blinds today to ask questions or receive help with all your home and business blind needs. It is our pleasure to serve our customers. 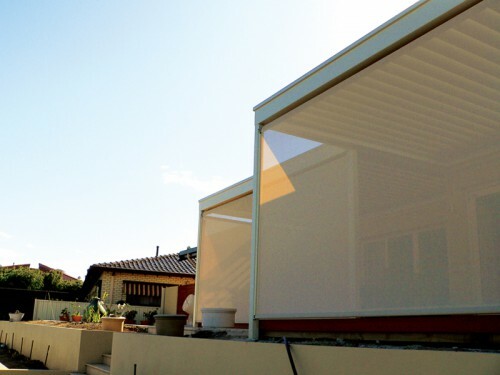 Claim your free measure and quote by contacting us on 1300 736 110 or filling out the form above.